Normally I have my post hosted on the Cor Deo site every other Monday. 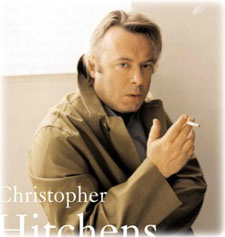 This time around I posted it a couple of days early because of the death of Christopher Hitchens. I am going to link to it from here, as usual, because I feel it addresses an issue to which preachers have to be so alert. That is, how does our message come across to those who aren’t already agreeing and affirming everything we say? I am not talking about accommodating our message to non-Christians who want a more palatable and cheery message. I am talking about not communicating an unnecessarily foolish shell of the gospel. The gospel isn’t foolishness because it is illogical, silly and arbitrary. It is foolish because it is so richly full of God’s self-giving love, a notion so alien to the selfish views of people and their expectations of the divine. Christopher Hitchens railed against a god that most Christians don’t even believe in, but somehow his straw-man version of god struck a chord with many in the world. We need to make sure we don’t feed the fallacy, but instead proclaim the powerful truth. Here’s the post.